1984 was the year the foundations of the adventure gaming genre were put into place by a parser-based game, designed by a woman, about a skinny hero named Sir Graham who had adventures with fairy tale tropes. That woman was Roberta Williams, and that game was King’s Quest. 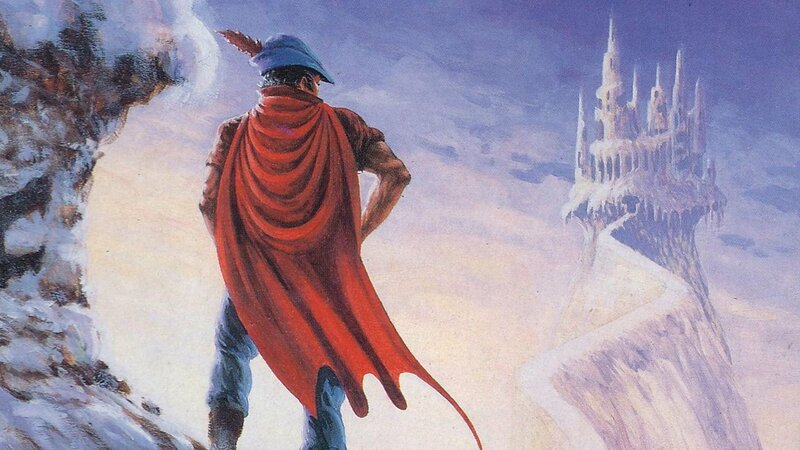 Eight games and fifteen years later, the King’s Quest saga, and their publisher, Sierra, fizzled. Multiple attempts to continue the series have met the same fate. Then, a small company called The Odd Gentlemen approached Roberta Williams to get her blessing to re-imagine the series with an aged King Graham telling fables of his youthful adventures to his granddaughter Gwendolyn. Obviously Williams said yes, and the result is a magical, whimsical joy of a robust episodic fantasy game saga that was easily my favourite game of E3 2015. 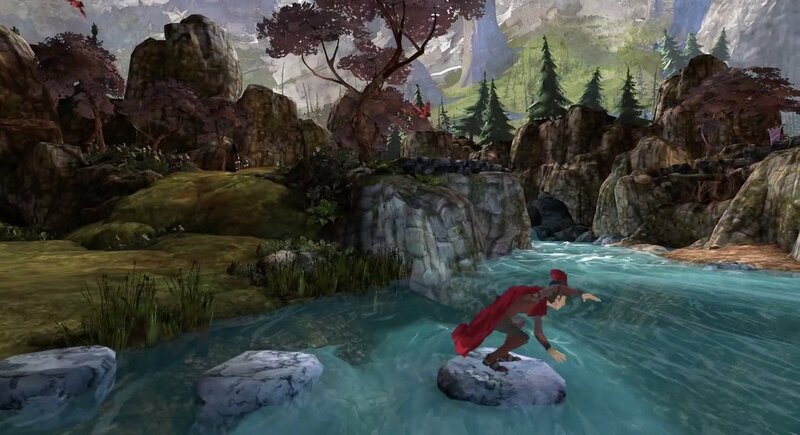 Filled with multiple branching paths, big-name Hollywood voice acting, Zelda Williams in her first video game voice role, and tons of original music, King’s Quest redefines replay value by promising three different midpoints, three different endings, and a large number of different responses when examining or interacting with the same objects. For instance, there’s a horn that you can blow up to seventeen times and get a different bit of dialogue from the game every time. Influences include the film The Princess Bride and Terry Pratchett’s Discworld book series, which gives you a sense of both the humor and the visual marvels that the game footage shown and playable at E3 contained. The notable thing about the King’s Quest games is that their heroes and heroines are never the strongest, the fastest, or the most technically skilled. Their heroism comes from bravery, wits, and compassion. 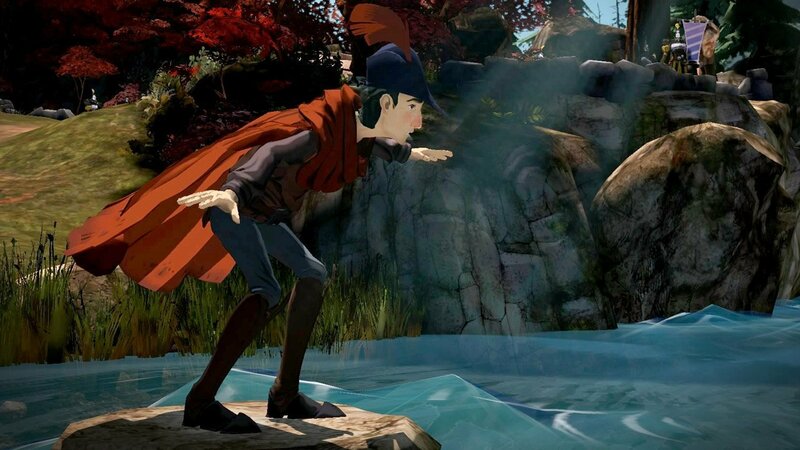 King’s Quest also boasts a unique art style that was derived from printing out the 3D scenes and drawing over them by hand to create a storybook look. The result is both distinct and beautiful, even if the cape animations didn’t have all the bugs smoothed out yet. Both the art and sound rival the best gaming has to offer these days, if in a simpler, kinder, more whimsical package than we’re used to seeing and hearing. And yes, King’s Quest‘s notorious puns are on full display, right down to the chapter titles. Chapter one, for instance, is subtitled “A Knight to Remember.” The homages to the original King’s Quest games are so plentiful that you probably won’t catch all of them on your first play-through, even if you’re a die-hard KQ fan like me. I missed one in the demo. I got the other four… or was it five? Even the developers themselves can’t keep track of all the nods to past games they’ve included. Now that doesn’t mean that the game only appeals to old-timers like me. The player after me on the demo was a twenty-ish gent who had only passingly heard of King’s Quest. I gave him a few clues to solve the trickiest part of the demo puzzle, and he found the experience enjoyable just on the merits of the graphics, gameplay, and voice acting without the benefit of nostalgia. The last major selling point is that these chapters aren’t the brief two-hour experiences we’ve come to expect from episodic games. While The Odd Gentlemen didn’t have a hard playtime number for us, we were assured that it would be significant. In other words, it’s well worth the cost, because for these devs, this game was clearly a labour of love that paid great respect for the legacy they were continuing. I believe King’s Quest is in phenomenally good hands, and I can’t wait to play the complete first chapter when it comes out in July.